The 9th AAAI Conference on Artificial Intelligence and Interactive Digital Entertainment (AIIDE'13) will be held in October 2013. AIIDE'13 is the ninth annual conference and the thirteenth overall event sponsored by AAAI on the topic of AI and Interactive Entertainment. AIIDE-13 will include invited speakers, research and practitioner presentations, playable experiences, project demonstrations, interactive poster sessions, product exhibits, and a doctoral consortium. 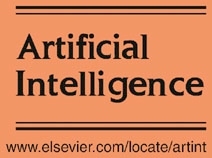 We invite researchers and developers to share insights and cutting-edge results from a wide range of AI-related problems and encourage the presentation of a) results from core AI research areas applicable to interactive digital entertainment and b) AI approaches developed and fielded in commercial systems. Please see this overview of the AIIDE conference posted at boston.com.